Cape May County, New Jersey - this 2 bedroom cottage is situated along the Delaware Bay at High’s Beach (a small community rarely on the map). Shore birds and wildlife abound on 30 acres of privately held land. Fishing… crabbing… peaceful walks along the beach*… a perfect retreat! 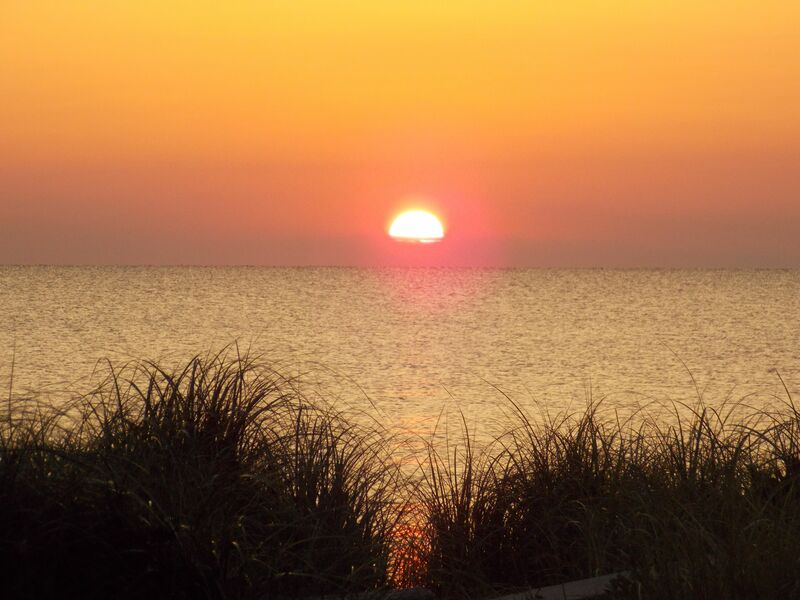 Far from the madding crowd, yet Cape May, Stone Harbor and the Wildwoods are a mere 15 minute drive from the cottage. Ever-changing sky and seascape - bring your camera and sketchbook. Views of the natural surroundings from inside and out - large front deck overlooks the dune to the Bay. Fully heated and air-conditioned, comfortably furnished and well appointed with ease of enjoyment in mind. Living area with fireplace, dining area and kitchen surrounded by large windows - beauty abounds. King size bed in one bedroom, two twins in the other - with a small deck off the twin room that overlooks a fresh water pond.